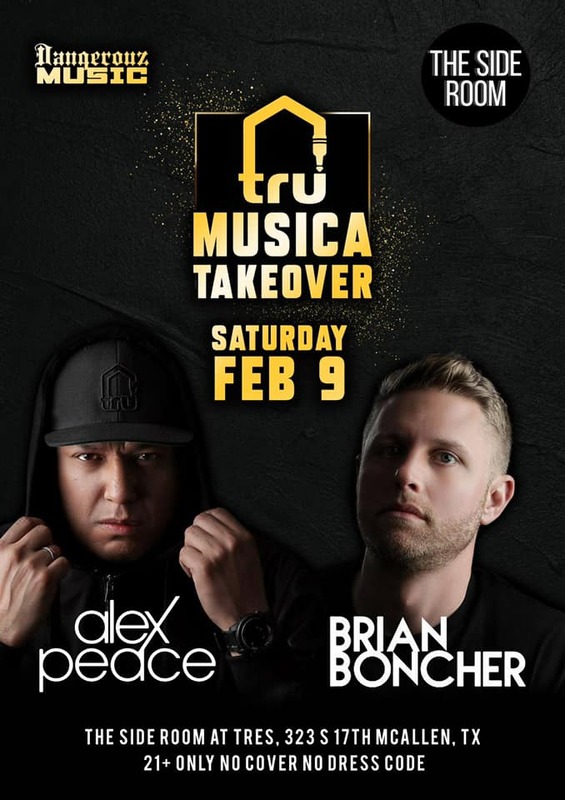 Tru Musica Takeover – Feb 9 McAllen, TX. Alex Peace & Brian Boncher will be in McAllen, TX. on Feb 9, 2019 for the Tru Musica Takeover at The Side Room.